According to the National Scoliosis Foundation, scoliosis affects an estimated 6 million people in the United States, or 2 to 3 percent of the population. Scoliosis causes a lateral curvature in the spine that is greater than 10 degrees and primarily affects children ages 10 to 15. Signs of scoliosis include sideways body posture, curvature of the spine, one shoulder raised higher than the other, clothing not hanging properly, and muscular aches. Depending of the severity of the curvature in the spine, one may experience discomfort in the lower, middle, or upper back, and be limited to certain activities. In critical cases, functions of the heart and lungs may be affected. Your spine is made up of 24 bones called vertebrae. Seven of these little bones are in your neck, twelve in your thoracic or mid-back and five in your lower back. They stack up one on top of the other to form a straight line when viewed from front to back, but when viewed from the side they form three curves (the neck and lower back lordotic curves, and the mi-back or kyphotic curve). When seen from the front most spines are not perfectly straight, but when the spine curves or twists excessively it is called scoliosis (from the Greek word for “crooked”). In 85% to 90% of cases the cause of scoliosis is unknown and the vertebrae, discs, ligaments, tendons and muscles all appear to be normal (although as the scoliosis worsens one or more of these parts may develop abnormalities). In 10%-15% of the cases the cause of scoliosis is tumor, infection, a neuromuscular disease such as cerebral palsy or muscular dystrophy, a birth deformity or disc problems. Further deepening the mystery of scoliosis is the fact that no one knows why some minor curves get worse whereas about 90% do not. However, it should be pointed out that it is not true, as commonly thought, that poor posture is a cause of scoliosis or that women with scoliosis have more problems carrying babies to term than women who do not have the disease. 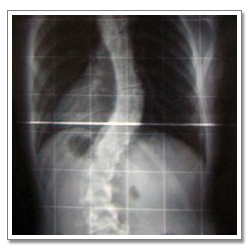 Scoliosis can be caused by spinal deformities, trauma, and unknown causes (Idiopathic). The most common form of scoliosis is called idiopathic adolescent scoliosis. This begins most often during adolescence in young females. The most common early changes indicating this type of scoliosis are postural distortions and growing pains. 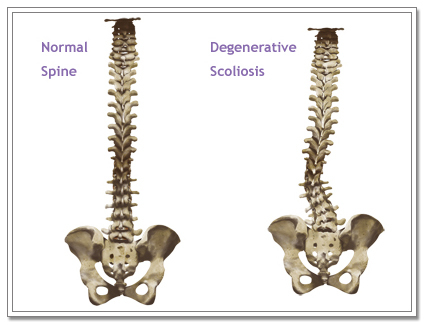 The chiropractic doctor is the best professional to see in order to determine if you need to be treated for scoliosis. A chiropractor has been trained specifically to work on the spine, to know the intricacies of the spine and what it takes to keep it healthy. No other healthcare specialty spends as much educational time devoted to the human spine as chiropractic does. As such, chiropractors are able to effectively take care of your spine and the muscles surrounding your spine. Georgia Clinic of Chiropractic are Augusta GA Chiropractors that have helped a wide range of scoliosis patients, and if you or someone you know might have scoliosis, call us today to set up a complimentary consultation. Depending on the severity of your scoliosis, you may have to deal with more serious problems than just discomfort if left untreated. Scoliosis, which is an abnormal curvature of the spine, is most common in late childhood and the early teens, when children grow fast. Girls are more likely to have it than boys, and can run in families. Symptoms include leaning to one side and having uneven shoulders and hips. 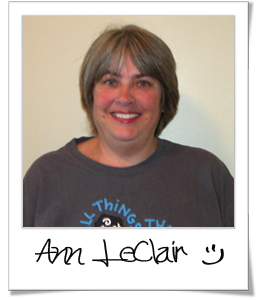 Ann was suffering from all the symptoms of scoliosis when she first came to Georgia Clinic of Chiropractic: back pain and pain across the shoulders. An expert in the treatment of scoliosis, Dr. Huntsman was able to provide targeted, condition-specific treatments for Ann. Through Dr. Huntsman’s personalized care, Ann’s scoliosis and her symptoms greatly improved, and through her positive experience at Georgia Clinic of Chiropractic, she has recommended her friends and family to come in for care as well. “I’ve had severe scoliosis since I was little, and I was suffering with middle and low back pain and pain across my shoulders before I came for treatment at Georgia Clinic of Chiropractic. It kept getting worse for the past few years, and was just painful. Now since I’ve started care here my symptoms have greatly improved. I had never been to a chiropractor before, and Dr. Huntsman has changed my view on chiropractic.